A proposal to create a local ballot measure to reform the San Diego Association of Governments‘ governance structure was referred Friday to the regional planning agency’s executive committee for further study. The vote by the SANDAG Board of Directors came as a state bill designed to impose reforms on the agency works its way through the state Legislature. A SANDAG staff report said a measure from SANDAG could actually contain some elements of AB 805, authored by Assemblywoman Lorena Gonzalez Fletcher, D- San Diego, and add proposals offered by the public. 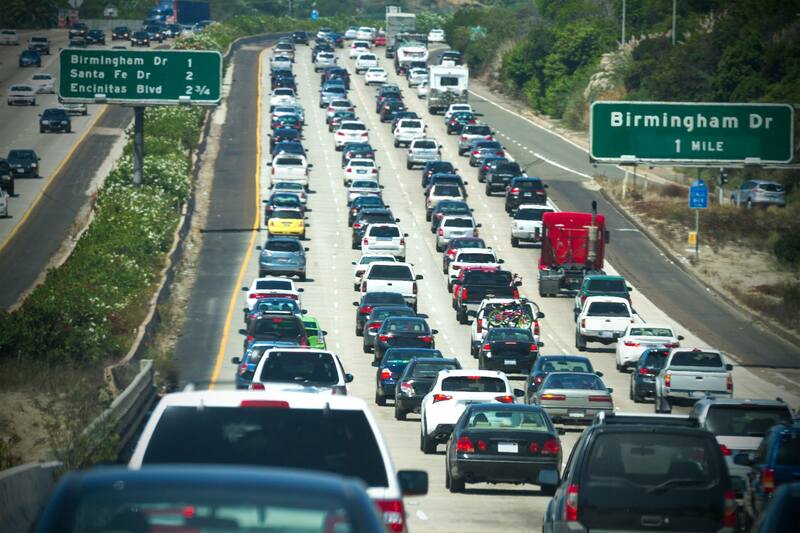 If SANDAG goes ahead with developing a proposition, it could go before voters next year. Gonzalez Fletcher told board members that if her bill becomes law, it couldn’t be undone by a local ballot measure. She noted that the current governance structure was codified by the Legislature in 2002. “Sometimes an agency that was created by the state and spends state taxpayer dollars sometimes needs intervention by the state,” Gonzalez Fletcher said. In a sometimes acrimonious debate, some members of the board — made up of elected officials of cities and the county — called her legislation “insulting” and “offensive,” and said it would disenfranchise residents of medium-sized and smaller cities like El Cajon and Encinitas. Among other things, the state bill calls for modifications to how the board votes, which would modify a weighted system to give more power to the cities with the highest populations — San Diego and Chula Vista. The board’s chairman and vice chairman positions would rotate between those two municipalities. The bill also calls for the creation of an Audit Committee that would retain a firm to create annual financial statements, and hire an auditor to conduct performance audits and investigate claims of fraud and waste. The legislation also would require most construction contracts over $1 million to have an enforceable commitment that the contractor and subcontractors use “a skilled and trained workforce” to perform all work on the project, or a specified contract that falls within an apprenticeship occupation in the building and construction trades. Gonzalez Fletcher said the way SANDAG votes now, “a person in Chula Vista has 1/160th of a voice as someone in Del Mar,” a much smaller municipality. Residents of the South Bay have been ignored for too long, she said. Calls for reforming the organization have strengthened this year, since it was learned that SANDAG staff knew that revenue projections were overstated for a tax increase that went before voters last fall, but did nothing about it. The tax increase measure fell short at the ballot box. SANDAG subsequently retained a law firm to conduct an investigation, and results are pending.